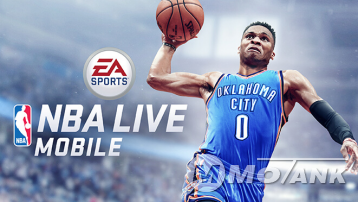 For every basketball enthusiast, NBA Live Mobile offered by EA is a must have. 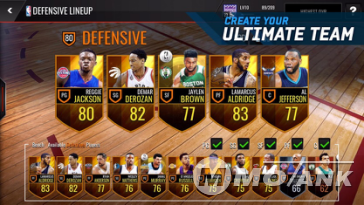 EA has again surpassed all its rivals in offering the most tremendously built NBA Live Mobile with large graphic display and gameplay features. With this immensely realistic game, the prestigious NBA tournament is right at your fingertips to play and enjoy. You have the opportunity to build a strong basketball team to outlive all the opponents in the main tournaments and head-to-head contests. Excellent features offer you the chance to upgrade your rosters, open up packs and to replace weak-stat players with better ones. Purchasing and auctioning the players is another lovely attribute of the game. NBA Live Mobile has set new standards of quality and supremacy in gaming graphics with creating hyper realistic courts, facial features, and physique of each player. NBA live events are a great opportunity to polish your hooping skills across a basketball court. These live events are refreshed daily and offer a unique chance to the players to gain experience with various challenges and also win elite players provided by some events. NBA rookie is the latest feature of the NBA Live, to make the game more exhilarating and thrilling. You can win out of 46 rookie players by competing in various challenges, and this way you can upgrade your team to elite levels. This program lets the beginners earn experience and skills, and at the same time be at a favorable odd to win better game-changing players. NBA Live has offered a hyper realistic basketball game with some of the most thrilling real life skills provided in the game play. The players can execute slam dunk, jump and hook shot, a bank shot and a free throw in a hyper realistic game play. NBA live has given a new spirit to the game of basketball by earning millions of fans around the globe. Challenging events and striking graphic details of the game make it the best basketball video games presented for the users till now.